Let STYLE LOOKALIKES bring James Bond to your themed event. We can create an exciting Bond scenario that your clients and staff will never forget. 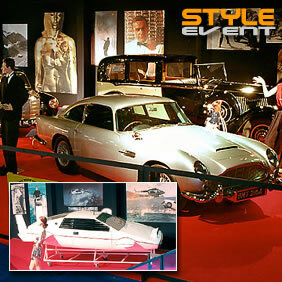 James Bond themed events with style. Since the 80s we have worked with many of the Bond celebrities at events around the world, including Moneypenny actress Lois Maxwell; Bond girls Molly Peters, Eunice Gayson, Caroline Munro, Martine Beswick, Jan Williams, Goldfinger girls Tania Mallet and Shirley Eaton, director Guy Hamilton, one time James Bond - George Lazenby, The Man With The Golden Gun - Christopher Lee, and not forgetting the late great 'Q' himself - Desmond Llewelyn.